This is my own personal review of one of the books I have bought for my own children. 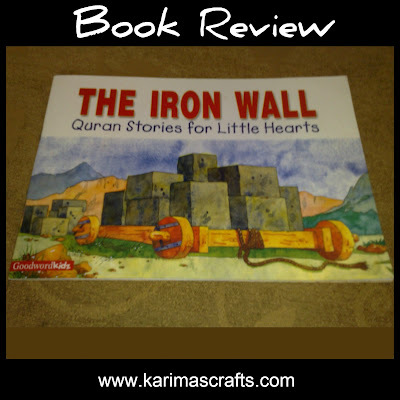 The title is 'The Iron Wall' Quran Stories for little Hearts. This book is about 'Dhul Qarnayn' who was a magnificent king during the sixth century BC. He was a righteous man and this book tells the story of Yajuj and the Majuj (Gog and Magog). They kept attacking tribes through the mountain passes. Dhul Qarnayn arranged for the iron wall to be built. This is a great story for the very young and has great illustrations alongside the text. It is a story from the Quran which is made more understandable to young readers. My eldest read this many years ago but he still has a peak to remind him. It is quite a short story with only about one sentence per page but the illustrations make the story! My youngest aged 4 loves this story. 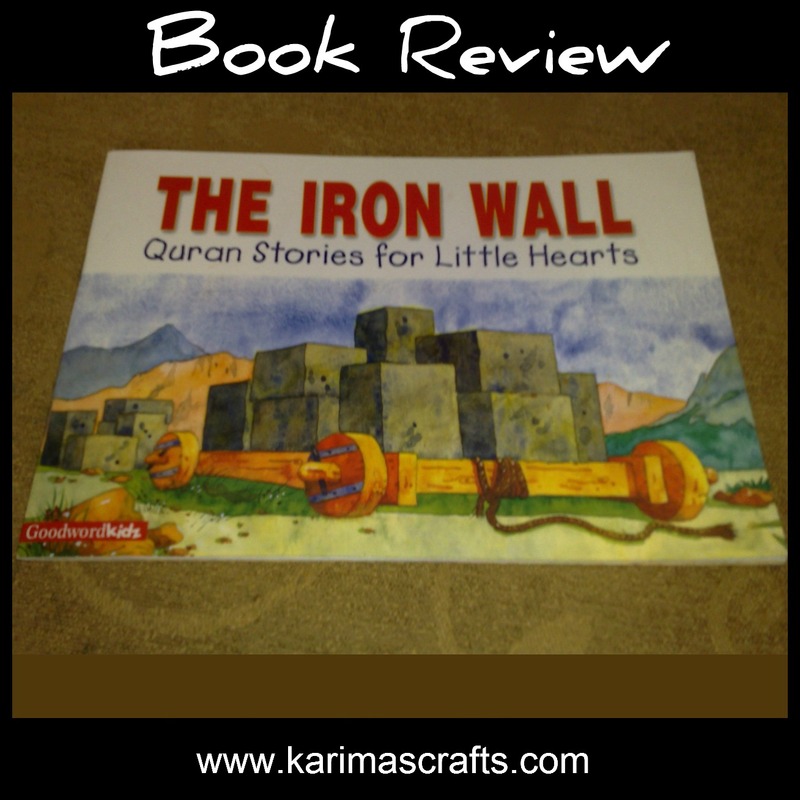 Quran Stories for little hearts series are a wonderful way to explain stories of the Quran to young children. Salam alayki, Thank you for the book review. I have a few of the books from this series but I can't remember ever seeing this book. I will look out for this one inshaAllah and try to pick it up tomorrow as I have not even mentioned Dhul Qarnayn to my children yet as I don't know the story well to relate. Jazakaillhu khayran sister.